Australian jewellery designer Samantha Wills just keeps on giving, this time it’s with the release of her new bridal collection, Of The Night. While her previous collection included some gorgeous options in rose quartz, turquoise and brushed gold, this new range revisits more traditional colour combinations like silver and crystal…. we especially love the new Wisteria Dusk Ear Cuff. The master of reinvention, her designs on the other hand, are unlike anything we’ve seen before – bohemian inspired arrangements that look just as lovely alone as they do layered. Featuring everything from earrings to back pieces this collection is all about contrast – mixing delicate, fine jewellery with chunky, statement pieces. Samantha has also set up a new Instagram account called Samantha Wills Bridal which we recommend any bride-to-be on the hunt for accessories for herself or her bridesmaids should follow! 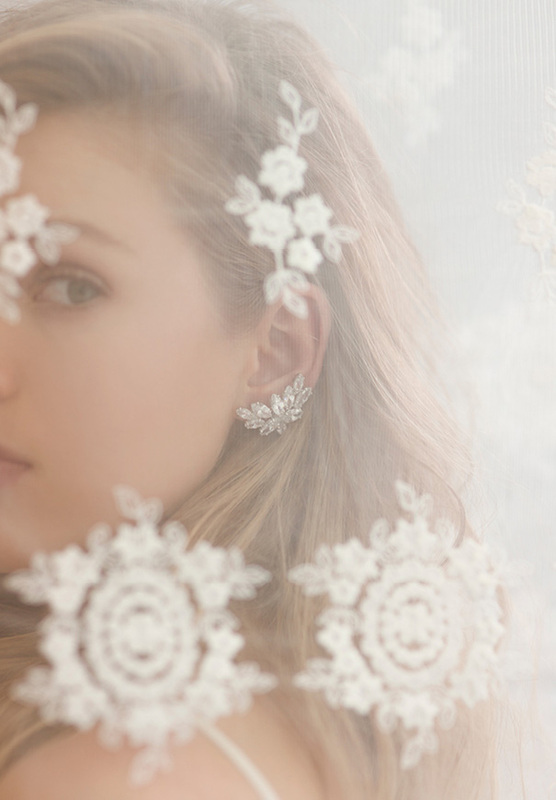 Loving that ear cuff and want to see how one looks on a real bride? Check out Sally and Steve’s real wedding in issue eight of Hello May, on sale now and stocked in newsagents nationally! CREDITS Accessories Samantha Wills Bridal.